This message is to inform you that due to unforeseen circumstances, the DFW Autism Training featuring Dr. Vincent Carbone, scheduled for this Thursday and Friday, October 18th and19th has been canceled. We sincerely apologize for any inconvenience this may have caused. We will begin refunding registration and event sponsorship fees in full this week. Please consult your bank or credit card provider to check on the status of refunds by the end of the week. While it saddens us greatly to have canceled this event we are very happy to announce that Dr. Carbone will be presenting at the annual DFW Autism Conference in February 2019 at the Hurst Convention Center. Please contact us at this email, should you have any questions. Thank you again for your support and understanding. 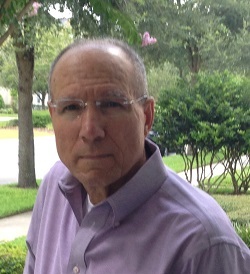 Dr. Vincent J. Carbone is a Board Certified Behavior Analyst-Doctorate and New York State Licensed Behavior Analyst. He received his graduate training in Applied Behavior Analysis (ABA) at Drake University, Des Moines, Iowa. He currently serves as an adjunct faculty member at Penn State University and is a professor in the academic training programs in Behavior Analysis offered by The European Institute for the Study of Human Behavior, Parma, Italy, and the medical school at the University of Salerno, Salerno, Italy. His behavior analytic research has been published in several peer-reviewed journals including the Journal of Applied Behavior Analysis, Behavior Modification, The Analysis of Verbal Behavior, Behavior Analysis in Practice and others. He has served on the editorial board of several behavior analytic journals and regularly acts as an editorial reviewer of scientific research papers submitted for publication to major behavior analytic journals. He is frequently invited to speak at behavior analytic conferences on autism treatment throughout the US and abroad. He has provided the requisite university training and supervision to hundreds of board certified behavior analysts in the U.S. and overseas. He is the director of autism treatment clinics in New York, Boston and Dubai, UAE. Children with autism and other developmental disabilities have benefited from treatment programs that emphasize the application of behavior analytic principles. Applied behavior analysis (ABA) research and reports within clinical practice have demonstrated the effectiveness of this form of treatment to address challenges in the areas of language, social skills, self-care, problem behavior, academics and others. Many of these programs are now informed by B.F.Skinner’s analysis of verbal behavior (1957). The purpose of this workshop is to provide an overview of Skinner’s analysis of language and to describe the benefits of this approach for adolescents and adults with developmental disabilities. The methods included in the Essential for Living by McGreevy and colleagues will be highlighted along with many video illustrations of clinical applications. There is strong evidence for the effectiveness of ABA as an effective intervention for the treatment of children with autism. As a result educational providers, school districts, and center based and home programs are adopting this methodology in their programs for children with autism. The demand for ABA programming has led to a growing number of consultants and providers who claim to offer ABA services. Moreover, parents are increasingly aware of the types of interventions that are part of effective ABA programs. The purpose of this workshop is to provide educators, parents and clinicians with a checklist of critical elements that constitute an effective ABA program that meets reasonable standards as described in the evidence based professional literature. Each element will be discussed and video illustrations of implementation of ABA methods in applied settings will be presented in support of the discussion.